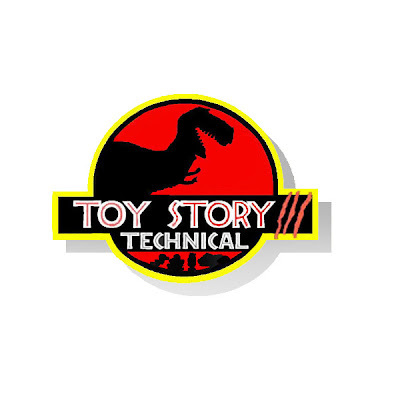 Thanks to Lee Unkrich, we know that this here is the logo for the front of the shirt that some lucky Pixar employees happen to be wearing. If you'd like to see the front of the shirt click here and for the back here at his Twitter site. Fun project shirts are always fun hehe. I'm just waiting for Disney to buy Universal next and then the Jurassic Park brand will be theirs. Nor would I want it to, btw.